What are the Highest Paying Jobs in Nursing? Healthcare and nursing are growth industries and some of the highest paying jobs in nursing rival the salaries of jobs in technology and other areas of healthcare. The direction in which a nurse chooses to go, as far as certification and specialization are concerned, may be influenced not only by the personal interests of the nurse but also the potential salaries granted by advanced training and certain jobs. The highest salaries often come from advanced degrees at the graduate level, as well as specialized certification at the state or national level. According to Nursing Link, the salary of a Certified Registered Nurse Anesthetist (CRNA) averages $135,000. These skilled nurses administer anesthesia to patients, as their job title would suggest. Nurse anesthetists may work in a variety of healthcare settings including dentist’s offices, doctor’s offices, and hospitals (please see: What is a Nurse Anesthetist?). This specialty nursing job requires the most training of any nursing job. Training required of a Certified Registered Nurse Anesthetist includes a bachelor’s degree, master’s degree, as well as licensure within the state of practice and passage of the national certification exam. The roles and responsibilities of the Certified Registered Nurse Anesthetist vary depending on the state in which the nurse is licensed to practice. CRNAs may want to consider membership within the American Association of Nurse Anesthetists (AANA). The role of a nurse practitioner is an interesting one in that certain states allow Certified Registered Nurse Practitioners (CRNP) to open their own clinics independently of collaboration with a physician. Other states require that nurse practitioners work under the supervision of a physician. CRNPs may choose to specialize in a variety of areas like women’s health, elder care, or pediatrics. 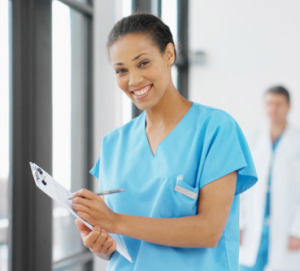 To become a Certified Registered Nurse Practitioner, a nurse must obtain a master’s degree, as well as certification. Sometimes called Advanced Practice Registered Nurses, these nursing professionals may earn over $100,000 a year with experience and the responsibilities that come with running a clinic or operating a private practice. Another one of the highest paying jobs in nursing is the Certified Nurse Midwife (CNM), which, like a Certified Registered Nurse Anesthetist, requires a master’s degree and certification to enter the profession. Nationwide, these skilled nurses attend hundreds of thousands of births each year in a variety of settings including hospitals and homes. CNMs also help female patients with family-planning and prenatal and postnatal care, as well as gynecological exams. Certified Nurse Midwives may expect to earn a median salary of $96,460 a year, and the Bureau of Labor Statistics (BLS) suggests the profession will grow at a rate of 31%, which is much faster than the average for all jobs in the United States. Nurses who practice as Certified Nurse Midwives may wish to become members of the American College of Nurse-Midwives. Healthcare is a growth industry, and nursing is one of the fastest growing professions within healthcare today. Fortunately, the highest paying jobs in nursing are available in almost every type of healthcare facility, so a skilled nurse can choose a specialty of his or her choice while earning a high income.